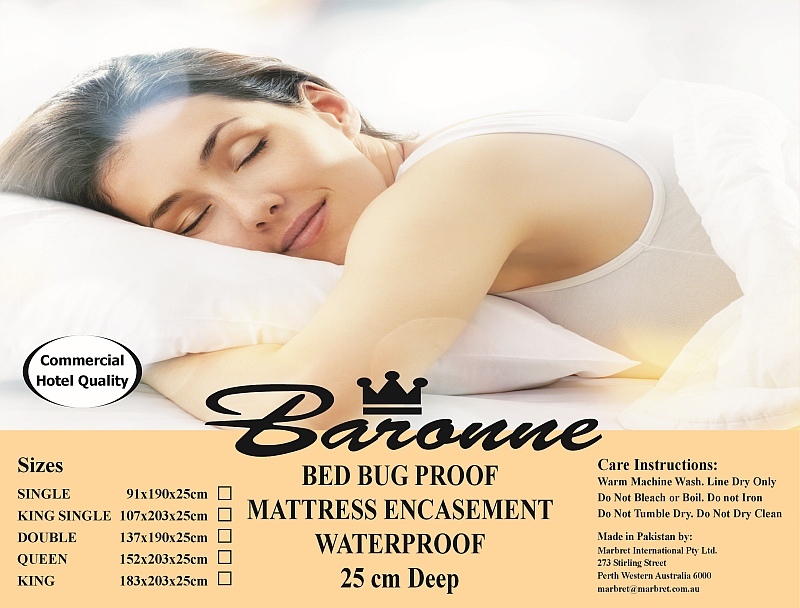 Bed bug and Dust mite mattress protectors work by fully enclosing the mattress with a 100% breathable waterproof terry towelling surface with a zipped 100% polyester stretch knit that encloses the mattress. The zip lock system makes the protector Bed Bug and Dust mite proof. Enclosing the whole mattress ensures that the bugs cannot escape or get into your mattress. The Bed bug protectors ensure mattresses don’t become breeding grounds for infestations that can cause a variety of health issues. Along with our pillow protectors the mattress protectors are a vital part of keeping your bed bug free.